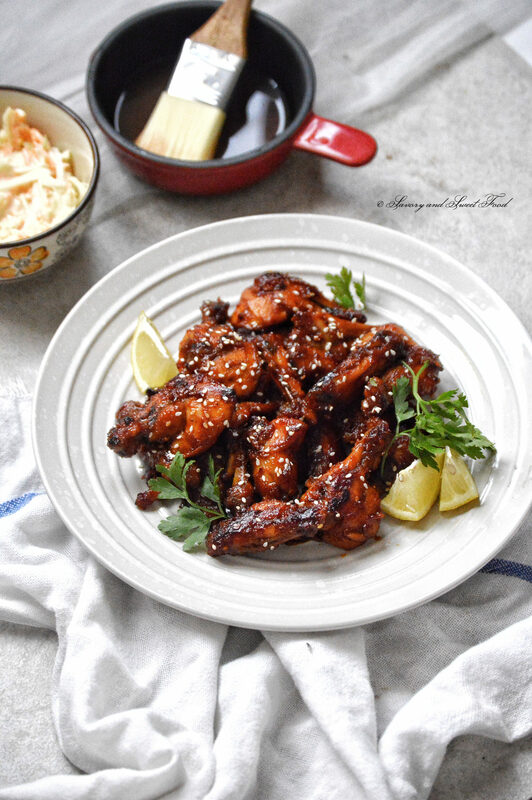 A sweet, extra hot, sticky chicken wings, baked in the oven and then smothered in a thickened delicious sauce. 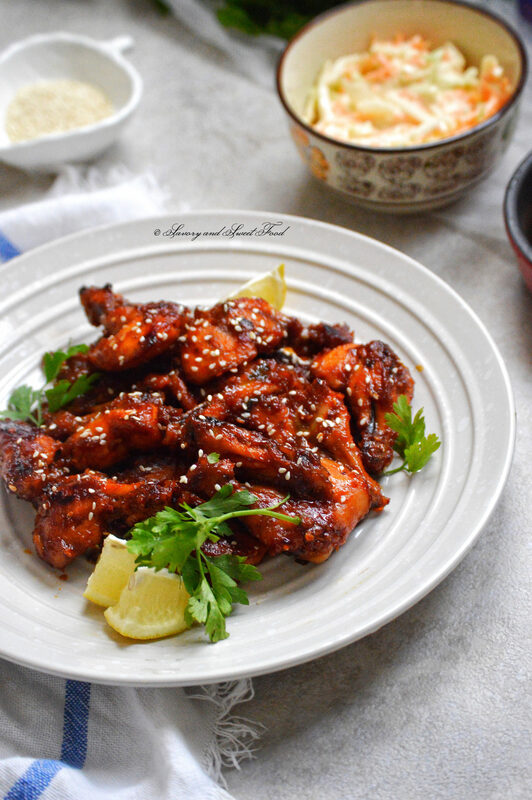 These extra HOT chicken wings are so good. In fact, they are so good that my husband have requested them twice this week for dinner. He has been asking me to make chicken wings, the saucy barbecue type wings which we get in restaurants. I didn’t want to add barbecue flavor to the wings as I just cannot stand that flavor. So I decided to make a sweet and spicy (loooove this combination) sauce for this. I added almost all the sauces I had in my pantry  along with honey because I was pretty sure that you cannot go wrong with these sauces. So I guess the real question is not what sauce I have picked, but rather, Are you ready for the best chicken wings recipe-ever?!!! This is really high standard, atleast according to us. 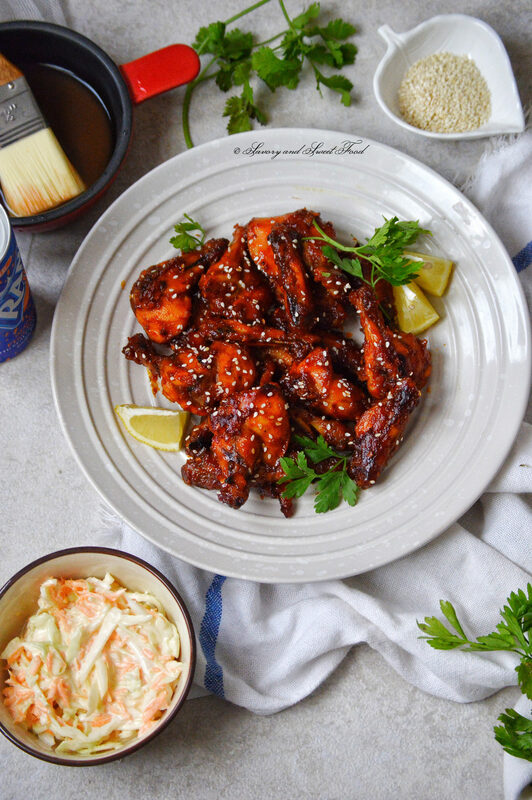  But if you are a sweet and spicy combi lover, with one bite you will know that these wings were meant for you. Adjust the heat as per your preference, this recipe is more on the spicier side. Clean and pat dry the chicken wings to remove excess moisture. Add honey, hot sauce, ketchup, sweet chilli sauce, soya sauce, garlic, ginger, spring onion greens, red chilli powder and chilli flakes in a food processor and process till you get a smooth sauce. Pour this onto the chicken. Add salt. Marinate for 2-3 hours. Spray cooking spray or grease a baking tray. Take the chicken from the marinade and arrange it on the baking tray. Brush little oil on the chicken. Reserve the remaining marinade. Grill the chicken wings in the oven until cooked and charred on all sides. You can shallow fry the chicken too, if you like. Meanwhile, take a frying pan and add butter. Once it heats up, pour in the marinade. Stir and cook till the sauce thickens. 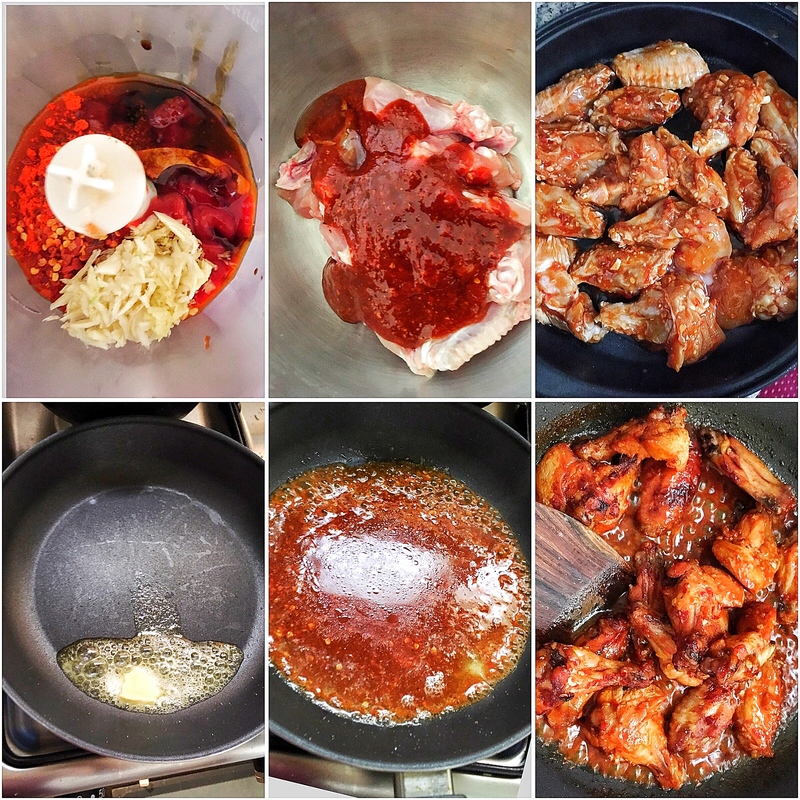 Add the grilled chicken wings to the sauce and mix it around till the sauce gets coated all over the chicken. 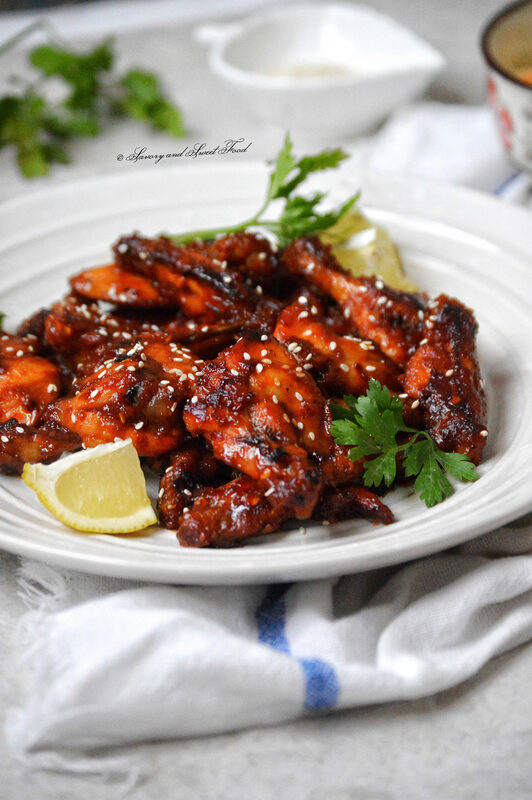 Sprinkle sesame seeds all over the chicken wings. Serve it hot. Spray cooking spray or grease a baking tray. 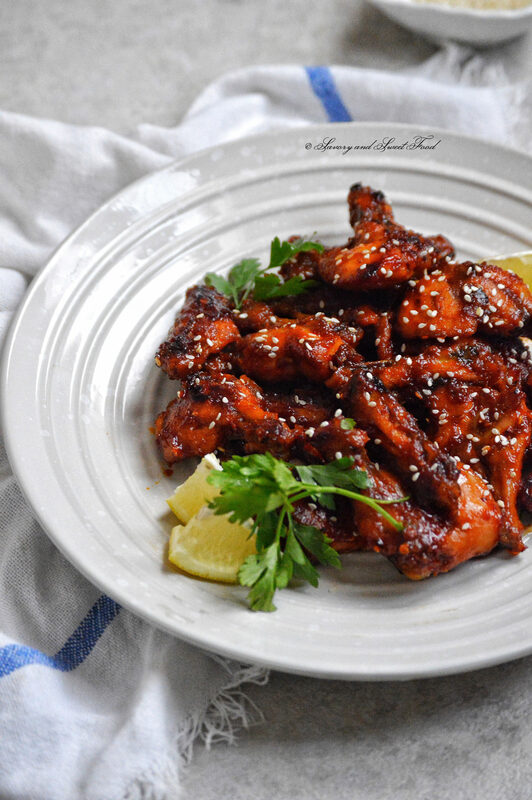 Take the chicken from the marinade and arrange it on the baking tray. Brush little oil over the chicken. Reserve the remaining marinade.